The name of our study group is Royal Descendant People Politically Intelligent Revolutionary Units. We encourage Peace and try to be problem solvers when it comes to New Afrikan on New Afrikan violence. We encourage people to think instead of just reacting. We get leaders to talk before violence starts. We encourage Unity among different New Afrikan organizations. We will work with other organizations not New Afrikan for a common kause like going against Pork Khops (correctional officers) and their pig counterparts, the agents of the oppressive and exploitative state security and information gathering system. Our first duty is to campaign which is to spread our ancestors' and leaders' revolutionary kulture. We are democratic socialist chanting down capitalism and imperialism. When it's time to go against the real enemy we will unite with those who share a common enemy. We are working on bettering our communication system. People write but we have a hard time finding someone to print our zines and books. That's why I am reaching out networking to get support. Beside our education program we have a military training program which consists of eating right and exercise. We work mind and body. MIM(Prisons) responds: We are always happy to hear from groups building unity and independent institutions of the oppressed behind bars. And this comrade demonstrates an important aspect of these groups: study. This organization seems to be well aligned with the United Front for Peace in Prisons's points of unity, peace, growth, internationalism and independence. We look forward to studying and building with them in the future. Others who have groups, even just a few folks studying together, should get in touch with MIM(Prisons) so we can provide materials to support your studies. And get plugged in to the United Front for Peace in Prison. 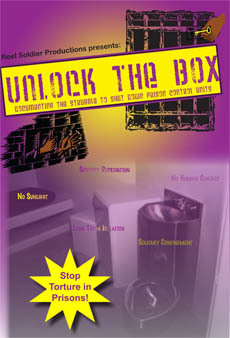 MIM(Prisons) compiles and distributes study materials through our Free Books for Prisoners Program. We are open to printing pamphlets made by our subscribers so long as they fit into a revolutionary Maoist agenda. 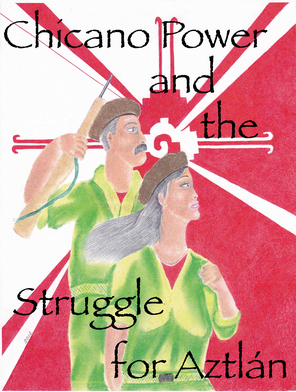 We facilitate Maoist and anti-imperialist prisoner organizing through United Struggle from Within, and help writers develop their skills and politital line through our correspondence study courses. Our advanced study group, the ULK Writers Group, is where the vanguard of the Maoist anti-imperialist prison movement gathers to write articles, pamphlets, and even books. Work through these organizations to ensure your work is the most effective at fighting oppression.